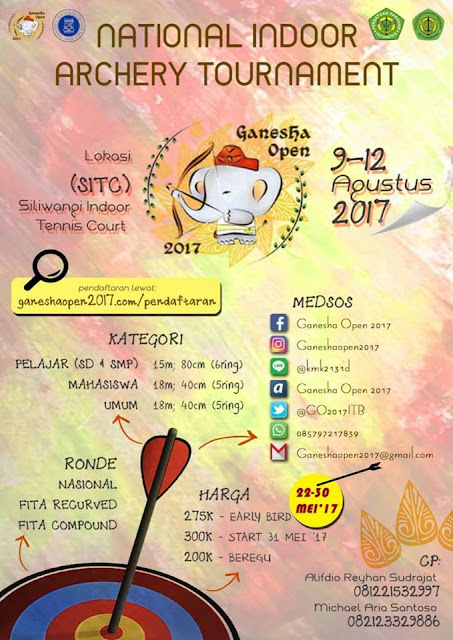 Home / Unlabelled / Ganesha Open National Indoor Archery Tournament. Bandung, 9-12 Agustus 2017. Ganesha Open National Indoor Archery Tournament. Bandung, 9-12 Agustus 2017.